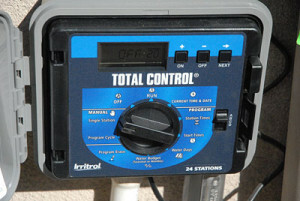 Why do I need a water audit on my irrigation system? Does this ordinance apply to everyone? 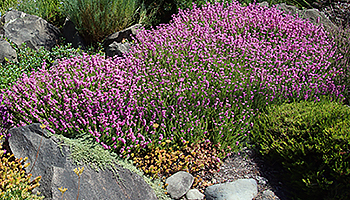 On January 1, 2010, the California State Model Water Efficient Landscape Ordinance went into effect. This is known as Assembly Bill 1881. This state-wide mandate requires that local agencies adopt the practices and requirements as set forth in this ordinance. This is an updated version of The Water Conservation in Landscaping Act of 2006. Significant revisions to the MWELO that went into effect in 2010 were set forth on July 15th 2015 and adopted by the State of California. **** Please note the short summary of highlights below. The size of landscapes subject to the ordinance has been lowered from 2500 SQ. FT. to 500 SQ. Ft. NOTE: The size threshold for existing landscapes that are being rehabilitated has not changed, remaining at 2500 SQ. FT. Only rehabilitated landscapes that are associated with a building or landscape permit, plan check or design review are subject to the Ordinance. This applies to residential, commercial, industrial and institutional projects that require a permit, plan check or design review. There is a prescriptive compliance approach for landscapes between 500 and 2500 SQ. FT. Previously water efficiency requirements were 0.71. Now it must be 0.81 and overhead irrigation and other technologies must meet a minimum of 0.75. Irrigation efficiency must now be calculated by each hydrozone. There are also significant changes to street median strip landscaping. Irrigation systems MUST have pressure regulation to insure correct and efficient operation. Master shut-off valves are required in most la ndscapes. Changes have been made as to percentages of high water use plants in all landscape settings. The revised update requires the irrigation auditor to be a local agency auditor or third party auditor to reduce conflicts of interest. All landscape irrigation auditors must be certified by one of the U. S. EPA Water Sense labeled auditing programs. 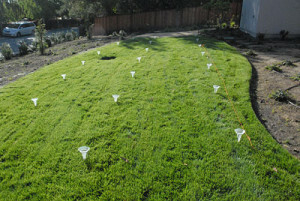 Peter Nedwick, Owner, of P & P Sprinkler Co. is a Certified Landscape Irrigation Auditor by the Irrigation Association and he is an EPA Water Sense Partner. If you need to have an audit performed, please email us at pandpsprinkler@yahoo.com for more detailed information on how to prepare for the audit and cost information. Our estimator will meet with you one-on-one to walk through your property and discuss your project. After listening to your project needs, we will prepare a comprehensive, free estimate for your review.